How do I open a saved project? From "My Account" Page: Click on either the Preview Thumbnail in your gallery or it's project title, then click on the Edit Project Icon that pops up near the upper-right corner of the preview window, to open the project in the Editor. 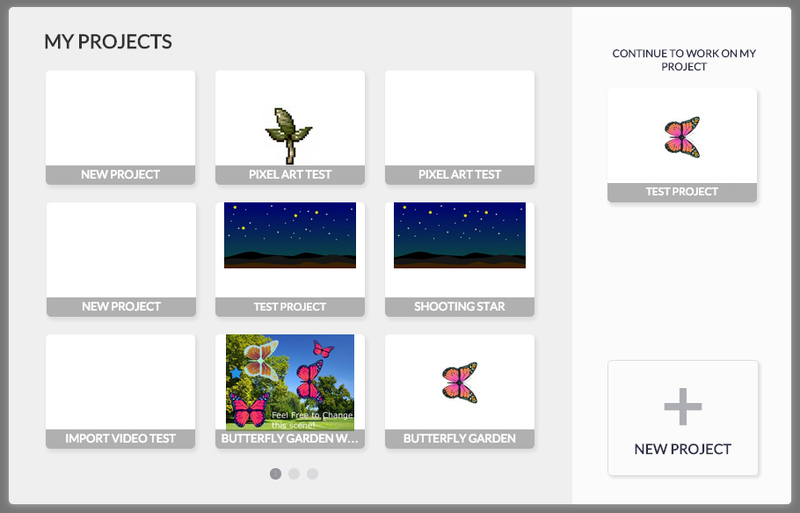 From your Web Browser: directly accessing the Animatron Editor from the web, you will be able to view and open the projects in your gallery, from the prompted pop-up window. 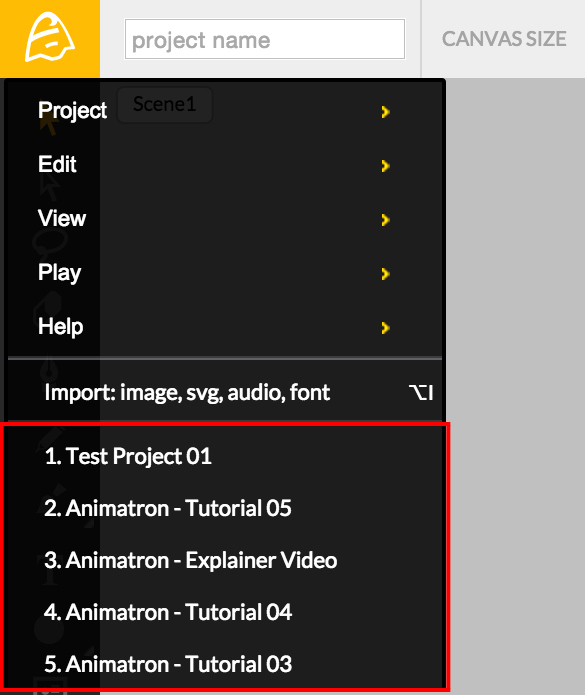 From the Animatron Editor: You can open your five most recent projects directly from the Editor's Main Menu, seen highlighted below. If you want to open a specific project, use the Main Menu (Hotkey: Alt + O) to bring up the Open Project Dialogue Box and select the project you want to work on. From your computer (uploading an exported project): to open a project saved on your computer, select “Upload From .ANM File” from the Main Menu. his process only works with a previously downloaded Animatron project, with the .ANM file extension. Note: The uploaded project will replace the project currently open in the Editor. If you want to go back to the original project, open it from your account or just click the “Back” button in your browser.